One of the most important services that our organization provides local youth with is hot meals and snacks on a daily basis. Providing youth with quality and nutritious meals helps young minds and bodies stay healthy, focused, and ready to tackle new skills. We food services at each of our six Clubhouses to ensure that hungry members can access an after-school meal and snack each day, as well as lunch during the summertime. Additionally, we serve the community during monthly Family Nights, where Club members can bring their family along to share in a sit-down meal together, along with other fun planned activities. Our talented Nutritional Services staff takes pride in serving our members, and that pride is evident when you step into our Kids Cafés. Local youth build strong relationships with Café staff that encourage them to explore new foods, build culinary skills, and educate them about the food groups that go into creating healthy, balanced meals. Every meal crafted in our Kids Cafés is made with love and care because we understand the impact of this service. Members are encouraged to help out in the kitchen! In the Kids Café, youth learn the basics of food prep and build skills they can use for the rest of their lives, whether in the food service industry or at home in their own kitchen. While helping out in the Kids Café, youth learn valuable lessons through the medium of cooking. Often, they gain a new appreciation for the Clubs and the service of others. Some take a profound sense of ownership in the Club and even end up pursuing other opportunities to serve their community and improve the lives of those around them. Many Youth of the Year candidates teen members recognized for their service and leadership skills, have dedicated time towards serving their fellow members in the kitchen. 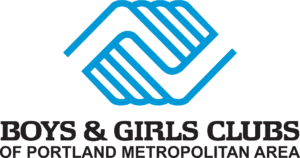 Kids Cafés play a vital role in our community and we at the Boys & Girls Clubs are proud to partner with the Oregon Department of Education’s CACFP program and Oregon Food Bank to give youth healthy, delicious meals. Together we build great futures for local youth, helping them live healthy and active lives! Kids and teens have the opportunity to assist, learning food prep basics and building life skills they can take home with them.